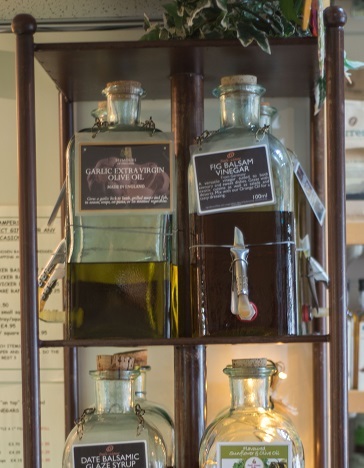 We stock a wide range of infused oils and vinegars from Deli-cious on tap. These have become increasingly popular, as we are now aware of the health benefits associated with olive oils and their uses. Our oils and vinegars are ideal as dipping oils, making dressings and basting meats. Try brushing on homemade breads, or drizzle on vegetables to deepen the flavours. We supply your first bottle; there are different sizes and shapes to choose from. As we are all trying do our bit for the environment, you can simply return your empty bottle and have it refilled from our large oil and vinegar decanters, at a reduced price.